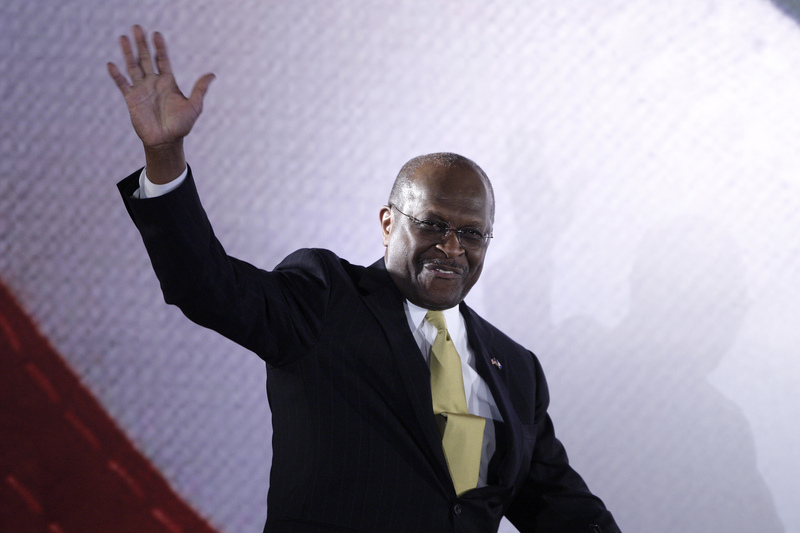 Former Republican presidential candidate Herman Cain waves as he take the stage to address the Faith & Freedom Coalition Road to Majority Conference in Washington June 15, 2013. President Donald Trump said on April 4 that he plans to nominate Herman Cain, a former pizza-chain executive, for a policy seat at the U.S. Federal Reserve. Cain served as a director at the Kansas City Fed in the 1990s. He launched an unsuccessful bid for the 2012 Republican presidential nomination. Nominations to the board of governors require approval from the Senate.